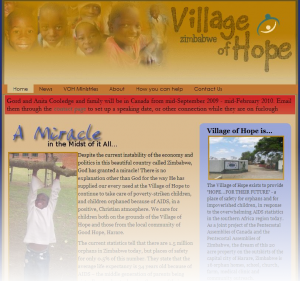 A couple of days ago I released a new website that I designed for some friends of mine who are the new directors of the Village of Hope in Malawi, Africa. David and Connie Buzikievich are an awesome couple who are following through with their offer to God to take them wherever He wants and use them however He wants. Their example of selfless service is inspiring! Ever since my short term missions trip to the Village of Hope in Zimbabwe my heart has been captured by the work the Village’s of Hope are doing in Africa to make a difference in children’s lives (and indeed in the communities where the Villages of Hope are planted!). 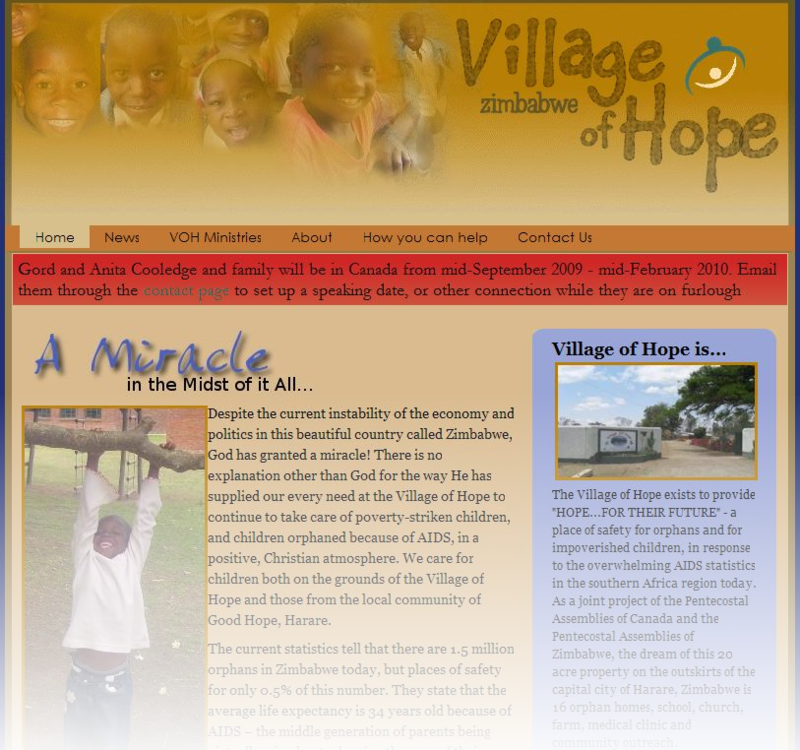 One of the exciting ways I’ve been able to contribute to the work they are doing is by hosting and designing websites for both the Village of Hope, Zimbabwe, and now the Village of Hope, Malawi. 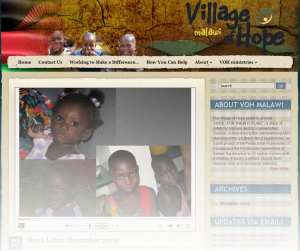 Getting the word out and keeping supporters informed is always one of the bigger challenges facing those working at the Villages and doing this helps free time and resources for focusing on what they need to do. 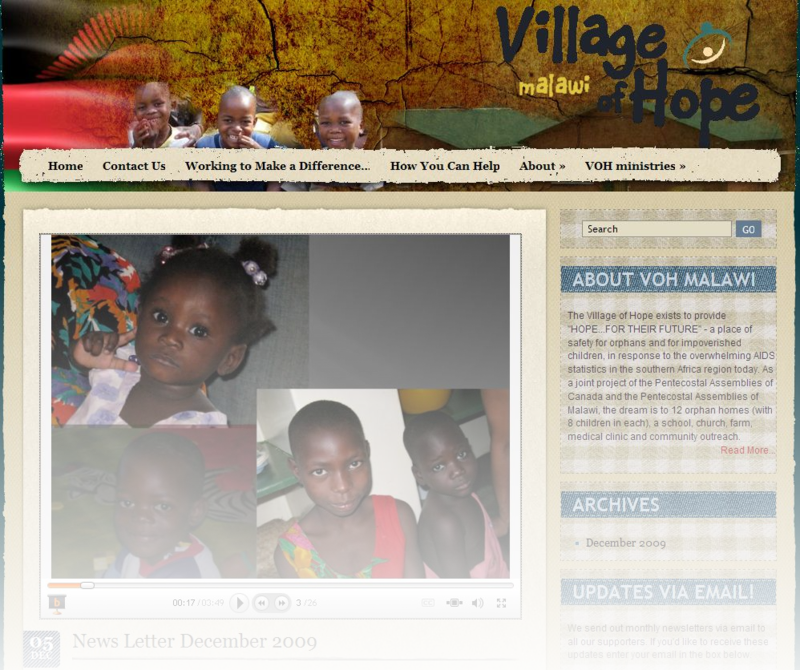 You can read all about the awesome things happening at the Villages of Hope in Zimbabwe and Malawi by going to vohmalawi.org and vohzimbabwe.com. Oh, and by the way, one of the reasons I’ve posted this is to see if there are any other web developers, designers, or hosting gurus who want to help out too! If so, get in touch with me and I’ll see what I can do to hook you up. Better yet, get in touch with a missionary or missions organization you know of and volunteer your services to them. Using your gifts in this way is an awesome way to give towards the cause and help make a difference!